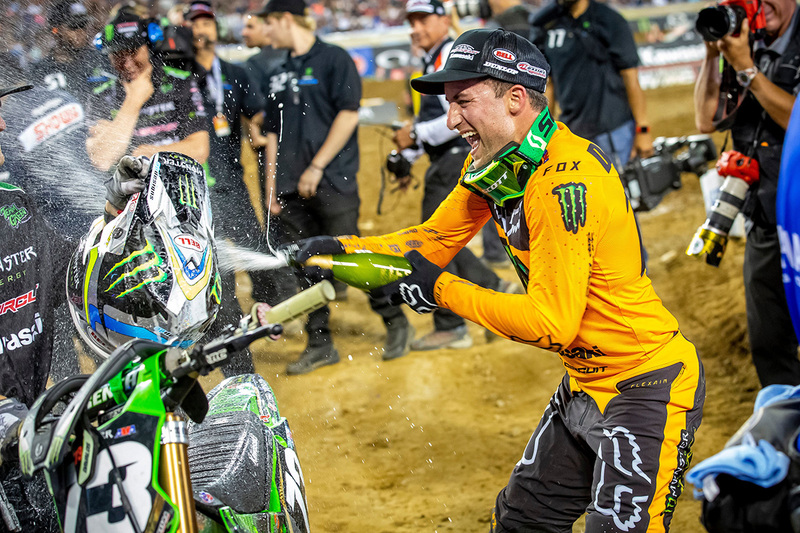 Martin Davalos, at age 32 became the second oldest rider to win a 250 class main event of the Monster Energy Supercross series when he took the win in Nashville. It was his 99th career start and his fifth win. His boss Mitch Payton at Pro Circuit was especially pleased because Davalos’ win preserved the points lead of Austin Forkner, who was injured in a practice crash earlier in the day. Chase Sexton and Justin Cooper will have to count Nashville as a missed opportunity. They were up front on the first lap, but Cooper tried to dive under Sexton in a poorly executed maneuver, putting them both on the ground. Davalos was able to build up a fair lead over rookie Mitchell Falk, but both Sexton and Cooper were cutting through riders quickly. Cooper suffered another crash before it was over. Eventually Sexton caught up to second and Cooper was third. ” This win means so much. I was having such a tough season,” said Davalos. “I’m really happy that my team and Mitch had so much faith in me.” Davalos came a few months short of capturing the record of the oldest rider to win the 250 class. That belongs to John Dowd. “It’s a bummer that Austin was hurt. 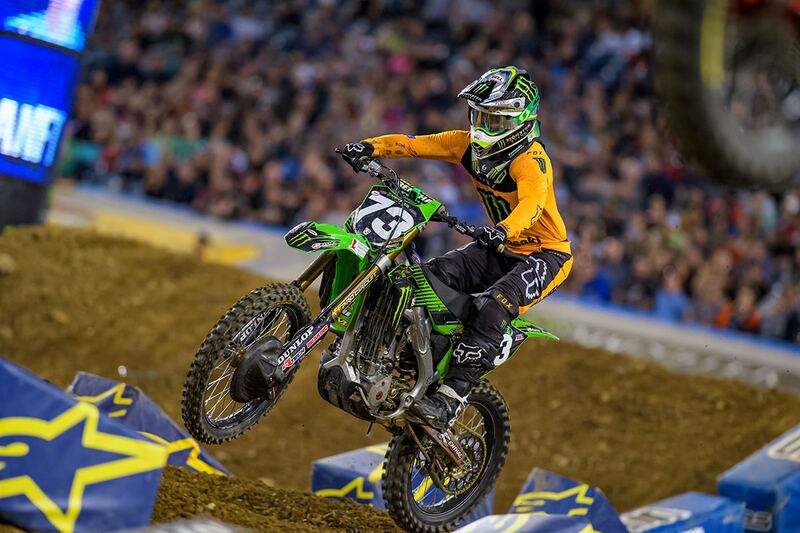 ” said Sexton, who is now three point behind Forkner in the standings. 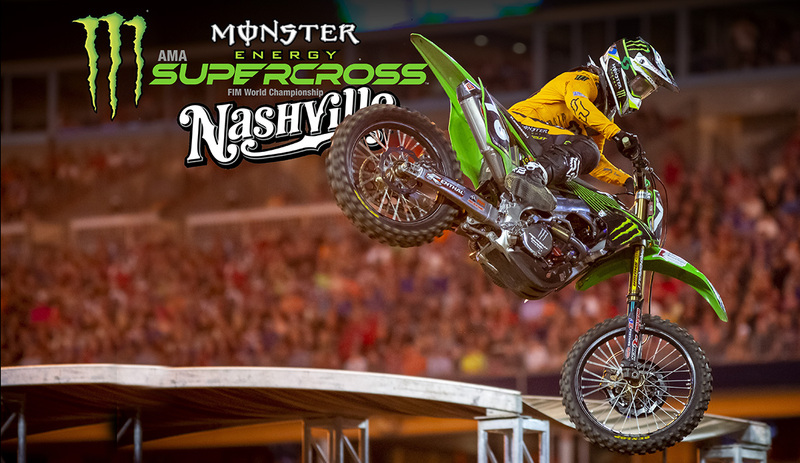 “I don’t want to catch him in points that way, but I’m happy to salvage second place.” For extended coverage of the 2019 Nashville Supercross, click here. In the first 250 heat it was Martin Davalos picking up the slack for his injured teammate Austin Forkner. He got the lead early and got away while Alex Martin settled into second. Justin Cooper had a few close calls in the pack, but ended up a solid third. The initial word on Austin Forkner was that he would attempt to ride the last chance qualifier. Later, that news would be updated and his team reported that he would not start. Chase Sexton led the second heat from start to finish. 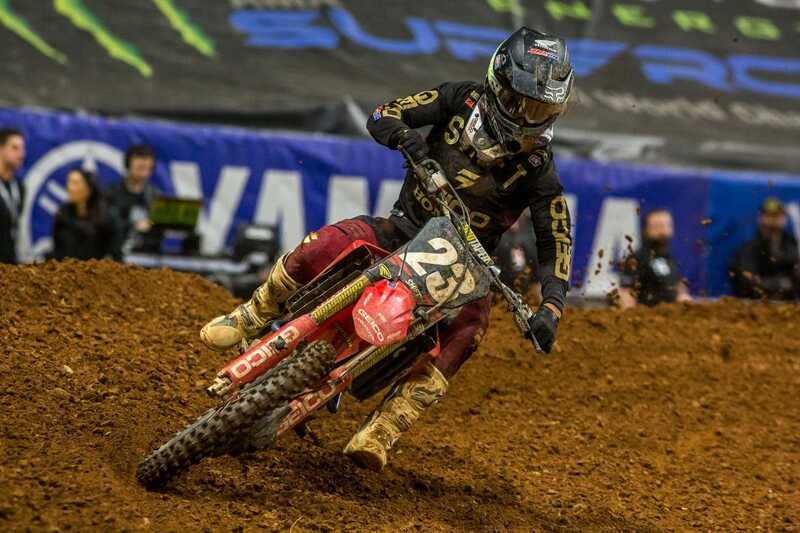 Ryan Sipes was riding only his second Supercross of the year. He started third, but then passed Dustin Winter for second. Mitchell Oldenburg got a terrible start, but ended up third. For the first half of the 250 LCQ, Ramyller Alves was looking good. He had a solid lead, but then he went down, handing it to Steven Clark. Kevin Moranz was in third behind James Weeks, but made a number of mistakes on the finalap. He was passed by Cade Authenrieth, but managed to hang on to fourth and transferred to the main.